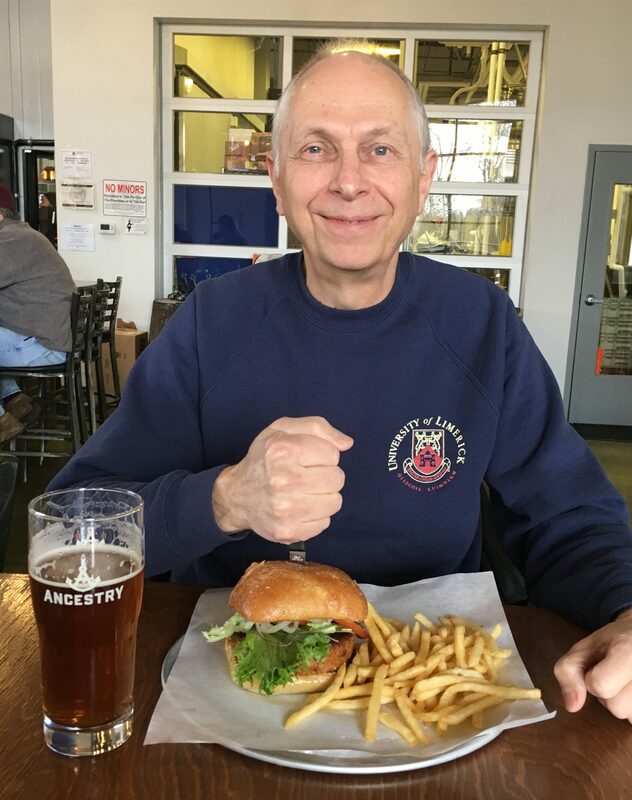 Ancestry Brewing – “Anchoring” the Tualatin Beer Desert…. 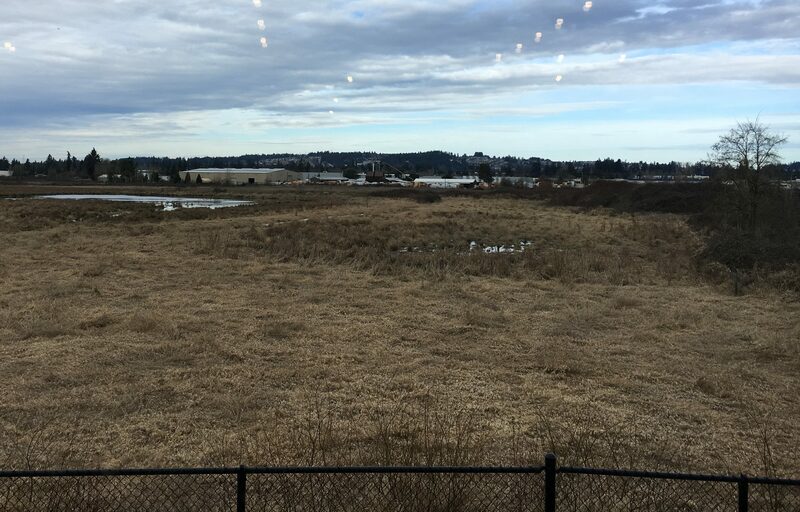 My trip to what Ancestry labels its “Neighborhood Spot” in Sellwood – opened shortly after the brewery – presented a similar picture, at least externally. It’s housed on the first floor of a brick commercial building shared with a brokerage firm and space used for a yoga studio with condos in the several story structure above. 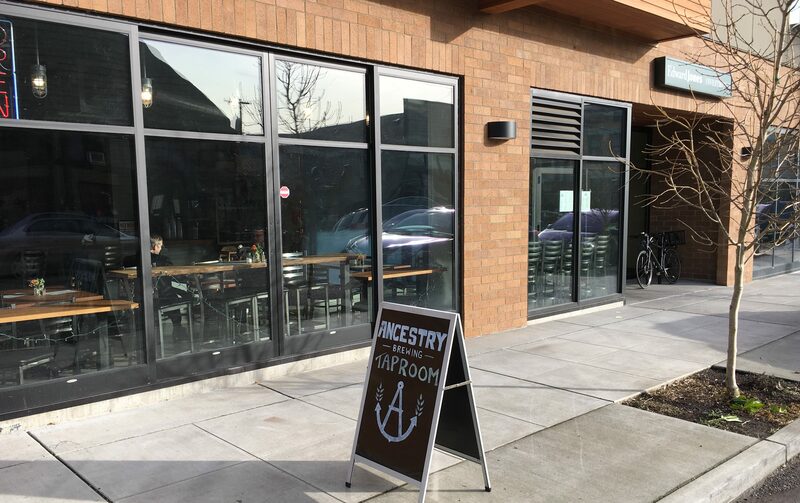 Ancestry Brewing is both an interesting and heartening story and one which affirms the vitality and positive impact of micro-brewing on the Oregon economy and spirit. 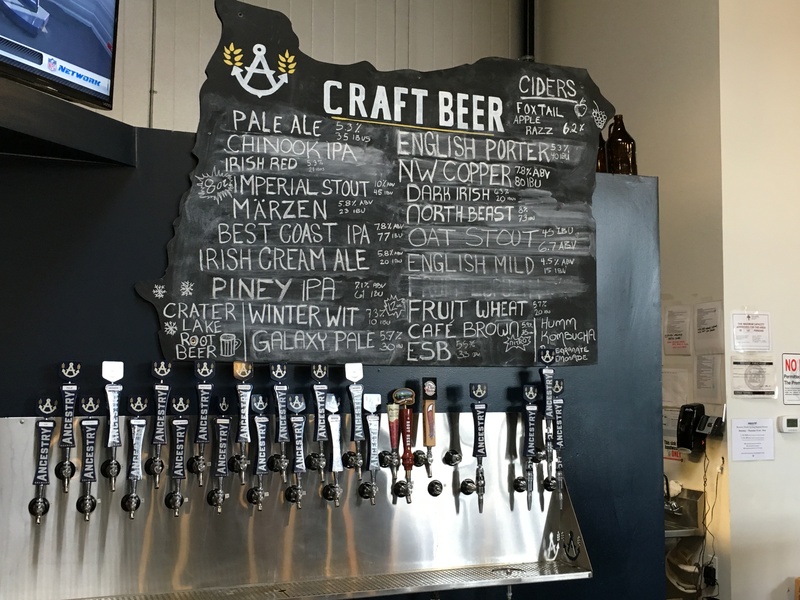 I was personally interested based on its ties to both the US Navy and Oregon State University through the owner, family members (they describe their beer as “family-crafted”) and a number of the brewery personnel. 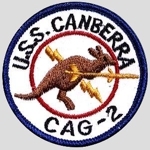 In fact, the Ancestry logo – an anchor and sextant on a signature blue color, are meant to pay tribute to Jerry, the brewery co-founder (father of Jeremy Turner, the General Manager’s and partner) in addition to Cellar Manager and brother-in-law, Mel Long, for their military time on the guided missile cruiser, Canberra and aircraft carrier, Coral Sea, respectively, during Viet Nam tours. 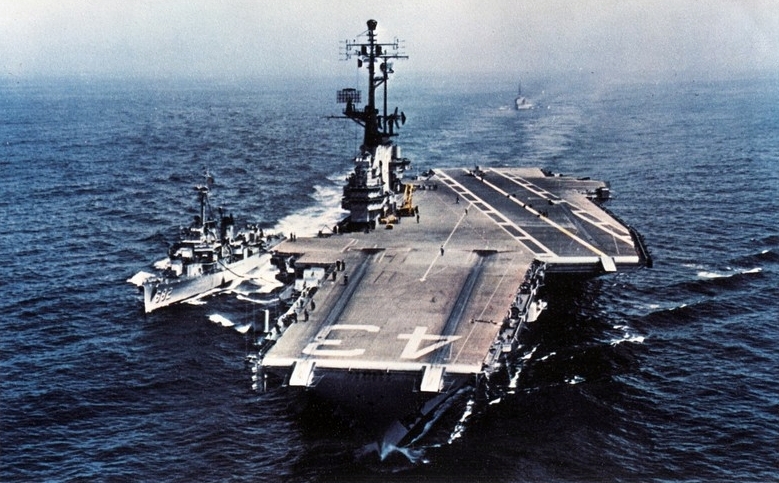 You can also commemorate this service by ordering the USS Canberra Burger (“1/3 lb. burger……with house sauce, pickles, lettuce, tomato and thin-sliced red onions with Tillamook cheddar cheese.”) or the USS Coral Sea Burger (“1/3 lb. burger topped with melted Brie and our house-made tomato-artichoke relish.”) Both are $11 and are two of the seven burgers/sandwiches on the menu. Although the burgers looked delicious and tempting, my friend, Walt Duddington (he also joined me on a previous Beerchaser trip to the Lutz Tavern – click on the name to see the review of this historic bar), opted for the Vegan Burger (“house-made vegan patty, grilled and topped with lettuce, tomato, onion and house-made pesto served on local chibbata”). Walt’s expression, shown in the picture when his food was delivered was just as happy after he finished this healthy option – okay, I guess he did have French fries….! I had the same reaction to my Beer-battered Fish and Chips (the cod for $12 versus the $14 salmon option). Another reason for the smile on his face is that he is recently retired from telecommunications firm Level 3 Communications, after nearly forty years in similar sales and management positions at US West, Electric Lightwave and Integra. I first met Walt in the late ’80’s when he was the US West project manager for the installation of a new telephone system at the Schwabe Williamson & Wyatt law firm. Neither Walt nor I had smiles on our faces at that time and we had a lot of sleepless nights when the hardware vendor under-configured the system which resulted in system crashes and disconnected calls. 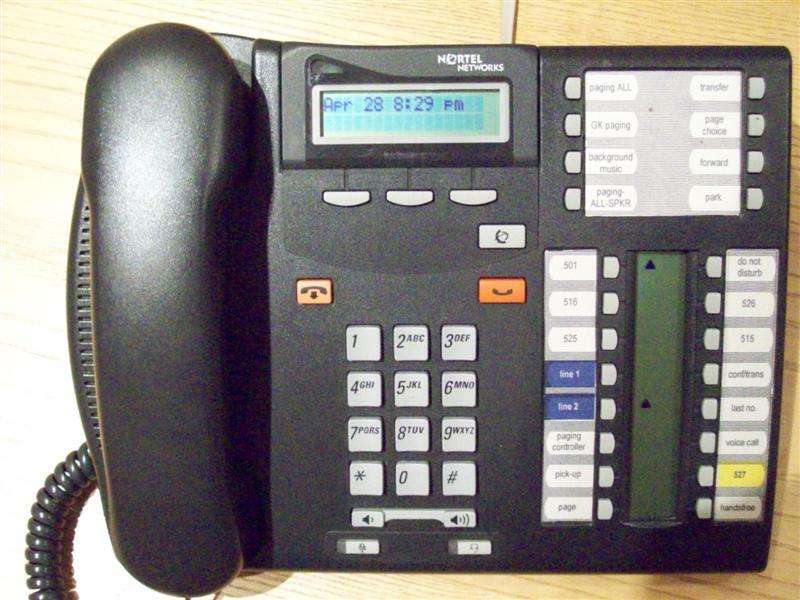 Better than a rotary-dial phone, but new technology can also have its challenges…. 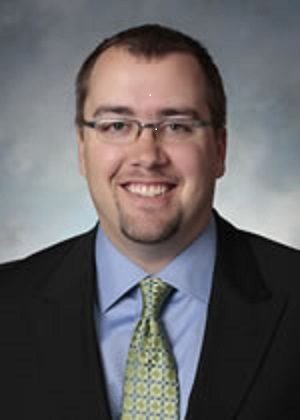 Fortunately, lawyers (about 150 of them) are very patient and empathetic with management on technology issues………He and his team also provided excellent support ten years later when Walt coached the Integra team which installed a multi-office network connecting the firm’s offices. I had the Piney IPA (“Caramel and nutty undertones offset by solid hop finish, red berry and pomegranate flavors with a strong piney aroma and undertones of tropical fruit” – 61 IBUs-7.1% ABV) – a good brew. 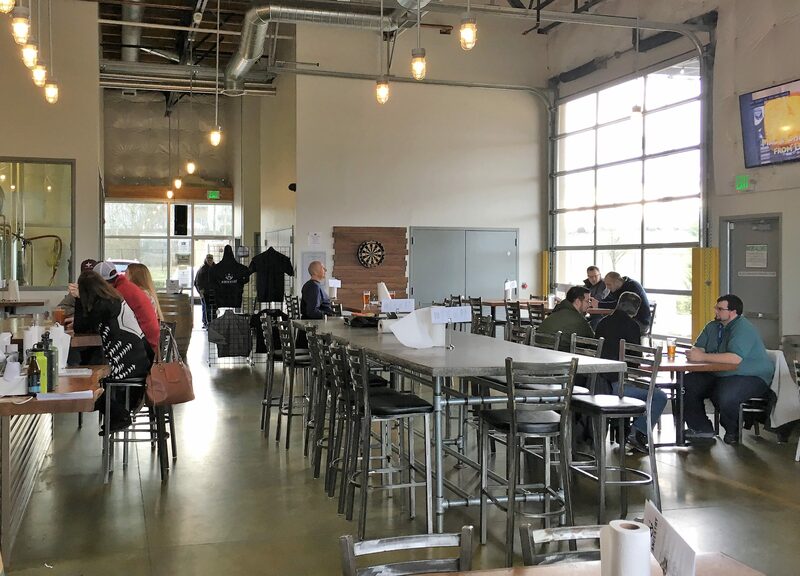 The space at the Tualatin taproom is like a lot of small breweries – somewhat sparse or meager on ambiance, although it is easy to envision people enjoying their brews on a nice deck which overlooks a wetland behind the structure. 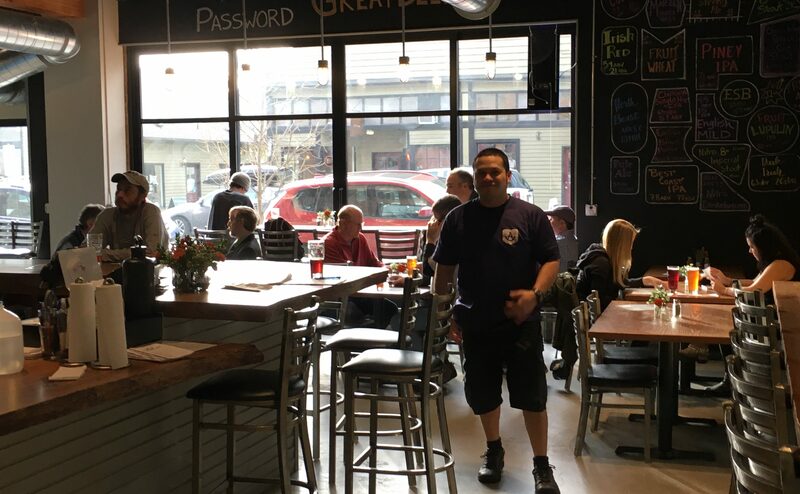 The Sellwood Taphouse, while very small, is a nice space that started filling up on the Friday afternoon that I visited and had a great conversation with AJ Cabrera – the genial Restaurant Operations Manager who has been with Ancestry since its inception. 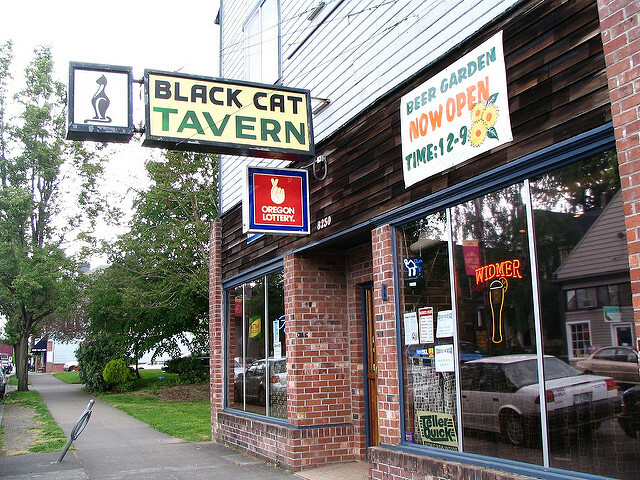 While the Sellwood spot doesn’t have the character of an historic dive bar, it’s a nice addition to the neighborhood. 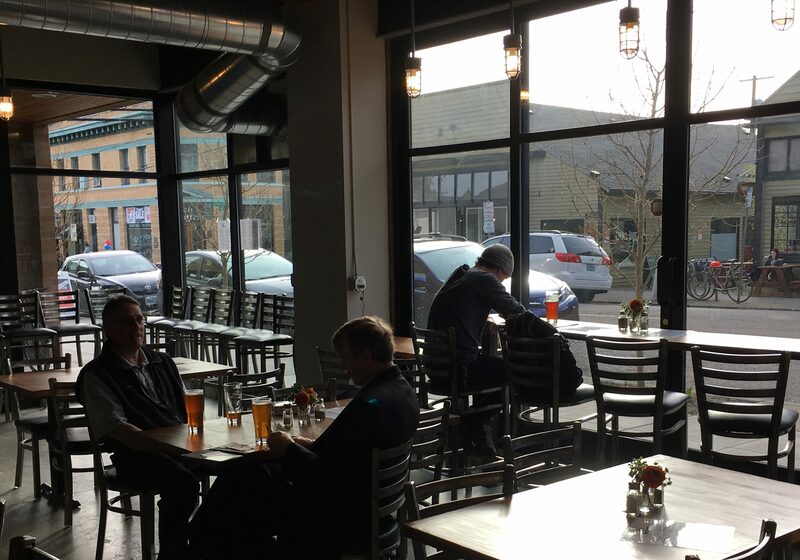 Although it is not as big as nearby Sellwood Public House, the space is a lot brighter and more inviting. 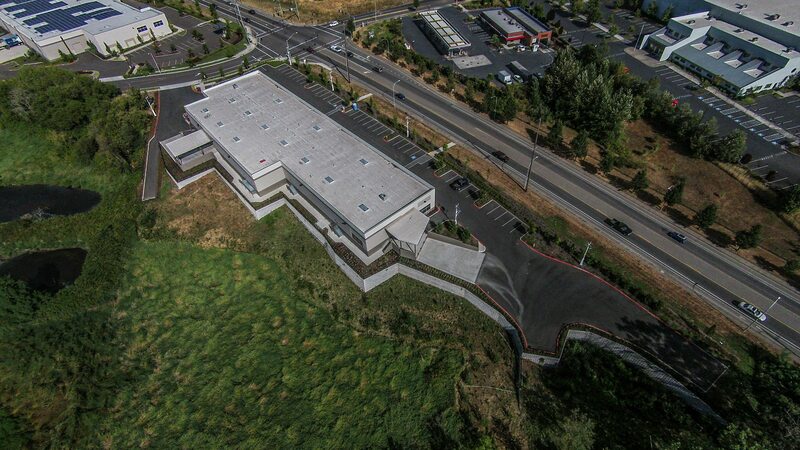 Ancestry has discussed future plans to open two similar operations – one in St. John’s and one on SE Division. Choosing from their twenty-five beers was a challenge, but I sampled both their flagship beer – the Best Coast IPA (77 IBUs – 7.0% ABV) and a Irish Red (21 IBUs – 5.4% ABV), I had a pint of the latter although either would have been a good choice. 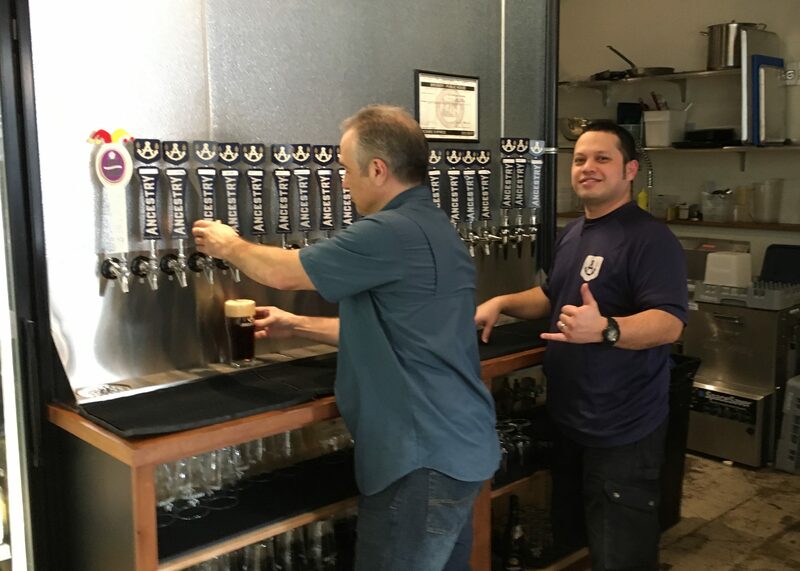 I would suggest that one of the reasons that there are many positive comments on the beer is Head Brewer, Trevor Laumann, who took his passion for home-brewing to the next step and graduated in 2015 from the Oregon State University Fermentation Science program. Pints are a reasonable $5. 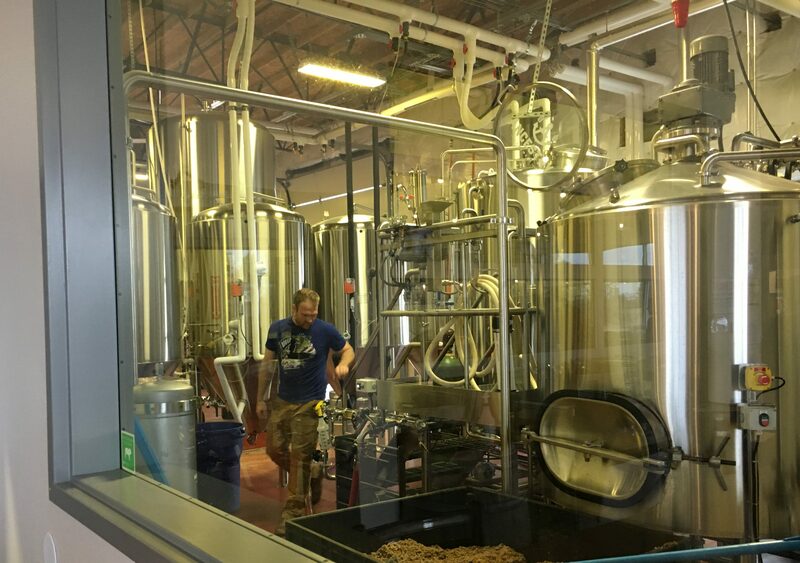 The brewery and taprooms are open every day but Monday and minors are permitted from 11:00 AM to 9:00 PM.